Willin Low. He is the chef who put a rocket under Singapore's gastronomic scene with daringly original and innovative takes on local cuisine. His fame has spread far and wide - he has even been praised in The New York Times. He wows diners with Singaporeinspired pasta dishes cooked with well-loved local items such as tau yu bak, a traditional Hokkien dish of braised soya-sauce pork belly and scallops with haebi hiam (dried prawn sambal). He even serves his roast Chilean seabass with chye poh (preserved radish) garlic confit on a bed of chicken congee. The 39-year-old chef-owner of Wild Rocket at the Hangout Hotel in Mount Emily is all the more remarkable because he is not a trained chef - he used to be a lawyer. 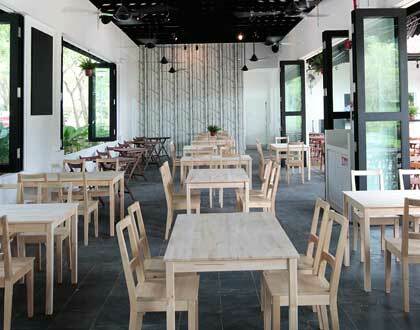 He is into the wilds of Punggol Park where he opens Wild Oats, a 350-seat cafe-restaurant. The $500,000 eatery is his single biggest investment to date and the site will be bigger than any of his five eateries put together. 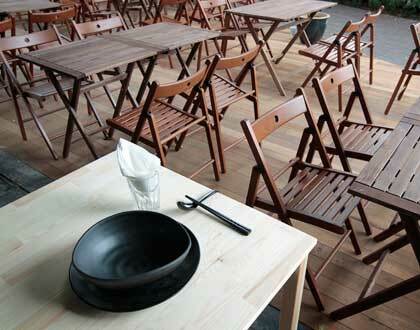 A great place for hangout on relaxing calm sunday afternoon. with Family, friends or with your other half. 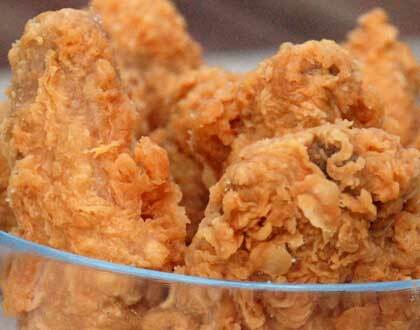 A glass of beer and a portion of chicken wings with nature. A great place indeed... It gives you a calm feeling.